Creative expression is right up there with eating, sleeping and breathing in my world. I am always looking for new ways to express my own creative energy and to help others express theirs. 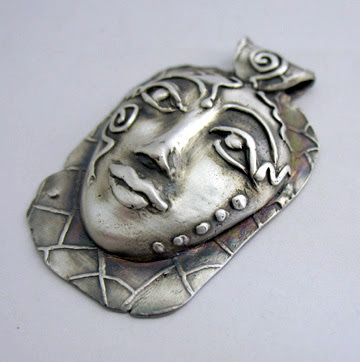 I find Metal Clay to be a fabulous medium for both established artists/artisans and people who feel creatively challenged. It's adaptable to a vast array of styles and techniques and almost anyone can create something they can be truly proud of. 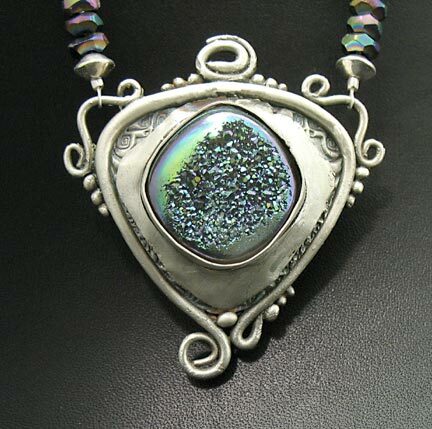 In addition to metal clay, I work as a potter, fused glass artisan, fiber artist and zentangle doodler as well as teaching others to do all of the above. I own and run a small artisan gallery in Windsor, CT where I teach classes and showcase my work and the work of other fine local artisans. Gorgeous work! I love all of them! WOW! very nice, the color is so elegant. I wish I could have one with this and be able to do this for my own. 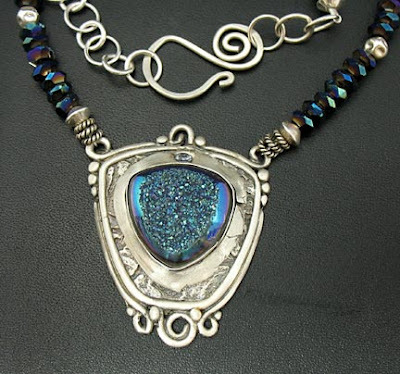 Accessories made of metal beads looks just so fantastic!